The Two Questions With…blog tour. 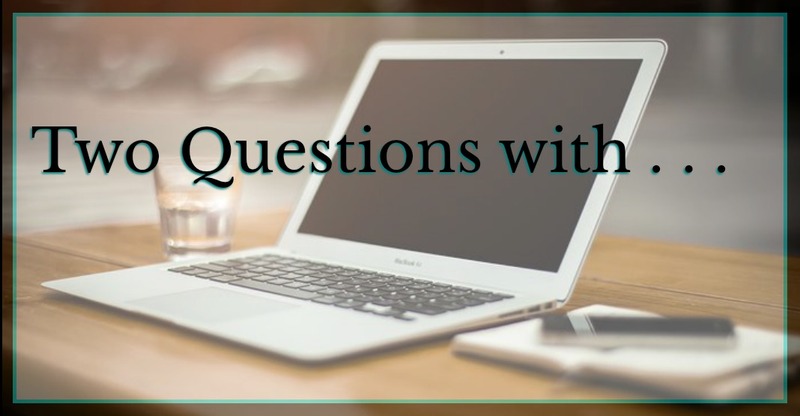 To recap, myself and a group of amazing writers each hosted the other on our blogs where we would answer two questions. Who were the authors, you ask? You should go check out their work. You’ll be glad you did. What I’d like to talk about this week is how our Blog tour came together. Like most things, this one started with an idea. I had been kicking around the idea of putting something together that would have the potential to, not only, give me additional content for my own blog, but would hopefully generate additional readership/views for a small group of friends. I was under no illusions that doing this would result in a massive increase in book sales or anything like that. The point was to put each of our names in front of folks that might not otherwise be aware of our websites, what we had to offer, etc. I keep dancing around the word, Exposure, in my head, but that’s really what this was meant to generate. And, as I’m typing this, I’m slowly coming to realize that there exists two different kinds of exposure…and that’s going to be the subject of a different Blog post. I had a vague idea of what I wanted to do, but I’d never done anything like this. So, in the spirit of “Hey, what does this button do?” I jumped in. First, I reached out to my friends. Folks that have active blogs (You do have an active blog, right? ), and I asked them if they’d be interested in doing a themed blog tour. I’d already had the idea of the “Two Questions” kind of format. I wanted to keep the initial number of bloggers small. First, so that it would be manageable, and second, because I was kinda building the boat while it was on the water. In the end, we ended up with the four of us. At that point, I put out a few suggestions for when we could run the tour and a few questions that I thought would be good for the tour. I didn’t want it to be too heavy, but I did want it to have a certain degree of seriousness. I took the ideas I had and I put them out there and I asked the group for input. What I got was a load of great questions and consensus (There’s that manageable part) on when we should start the tour, how long it would run for (2 questions, among 4 authors, made the math easy. You all know about my shaky relationship with Math), and what days we’d post. At this point, I do confess to secretly hoping that the posts would be scheduled for Sundays, which would have taken less effort, since I’m already doing a weekly Sunday Blog post – but the day we decided on was Monday. And that turned out to be a good thing for me. It made me stretch a little bit, and it gave me the confidence to see about adding more weekly content, which turned into my Five Thing Thursday posts. So we had the questions, we had an enthusiastic group, we had a schedule, dates and days, and we had answers. So we were done, right? It occurred to me just before we began, that we’d have to tell folks what we were doing. Advertise the existence of the tour. That was something new. Let me take a moment to thank Pat Esden who came up with the Two Questions With… graphic that we all used. The plan (and I think we all pretty much simultaneously came up with the same thing) was to use Twitter, and other social media platforms to get the word out. Myself, I’m on Twitter – primarily – and I mirror my tweets to Facebook – where I’m not on as much as I used to be. I think some of the other writers in the group cross posted to places like Instagram, etc. I currently use the free-to-play version of Hootsuite to schedule my during-the-week Tweet-bumps for other authors, and my own stuff, so working in scheduled tweets about the tour was pretty simple. Like I said above, I wasn’t going into this thinking that there would be any significant changes. I was both right and wrong at the same time. I didn’t figure that there would be this huge number of book sales as a result of our tour. We weren’t all going to retire to some beach somewhere and drink expensive margaritas. In fact, I’ve got no concrete evidence that the tour generated a single sale. So I that part, I was right. But, after checking her numbers, Janet reported that during the tour her traffic numbers tripled. So in that part, I’m happy to say that I was wrong. I’ve yet to check my own site statistics (that would be getting uncomfortably close to math), and I haven’t heard anything from Pat or Anne, but I’m willing to bet that we all saw an increase in traffic. I don’t believe that everyone that stopped by as a result of the tour, became a loyal follower of my blog. But maybe some of them did. Maybe, as a result of this tour, we each expanded our readership bases so that when the next book gets released, the announcement will reach more ears than it would have if the tour had never happened. And in that respect, the blog tour did exactly what I’d hoped it would. It also had the added benefit of gaining me some new friends. Was it a bit of work? Sure, but it was totally worth the effort, and I’m looking forward to doing it again. And be sure to check out Janet Walden-West, Pat Esden, and Anne Raven‘s websites. Also, if you haven’t had enough of me yet, I’m up on the blog at the Million Words website this week. Come check it out. See you for the next Five Thing Thursday. This entry was posted in Blog Tours, Planning, Social Media, Two Questions With, Writing and tagged Blog Tours, planning, social media, Two Questions With, writing. Bookmark the permalink.